Life modeled from my dear pet cat. A few extra pounds and bleary eyes are her features. Always in a dreamy daze, what a kid. The chain and all the components are all made of pure 925 sterling silver. 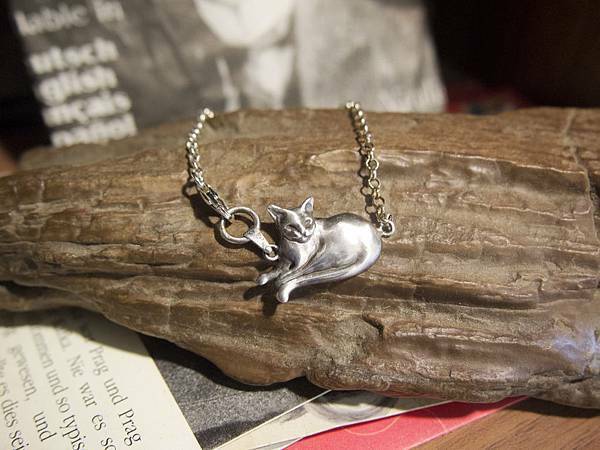 Two models of different length (the total length including the cat pendant) are available: 15 cm and 18 cm. Please make sure you know your bracelet size correctly. The best bracelet size for you is your wrist circumference plus 2~3 cm. length adjustment is free before ordering.